Our organization established in 2000 with the help of Ashwani Chopra (Chairman). On that time our organization manufactures Hing (Asafetida) product. Our management had decided in 2012 expend their business therefore we manufacture detergent powder now. And in future our organization will be produce toilet cleaner, burten bar products. 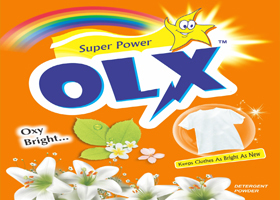 OLX oxy bright detergent is highly effective in easily removing all kind of stains from the cloth. After wash it also leaves a mesmerizing aroma in the clothes, which lasts throughout the day & maintaining the texture & colour of your clothes. 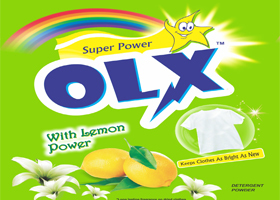 OLX with lemon power detergent makes washing bright and right. Right washing is required to tackle tough stains. It contains lemon power which goes deep into widest range of stubborn stains and pull them out. 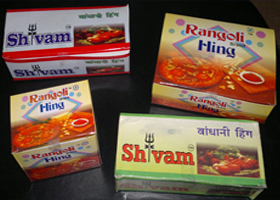 We are a great manufactures of Hing (Asafoetida) product which is highly useful as a digestive aid, in food as a condiment, and in pickles. It typically works as a flavor enhancer.